Uplighting is an illumination of the walls and will completely change a room with a subtle glow of color that projects up from the floor. Don't want a color? Even a soft white will look amazing! Don't think you need uplighting, think again. Uplighting will enhance the ambiance of any room. Uplighting is an easy and cost-effective way to decorate. Our uplighting packages range from $500 to $1,195 with our most popular being $895. 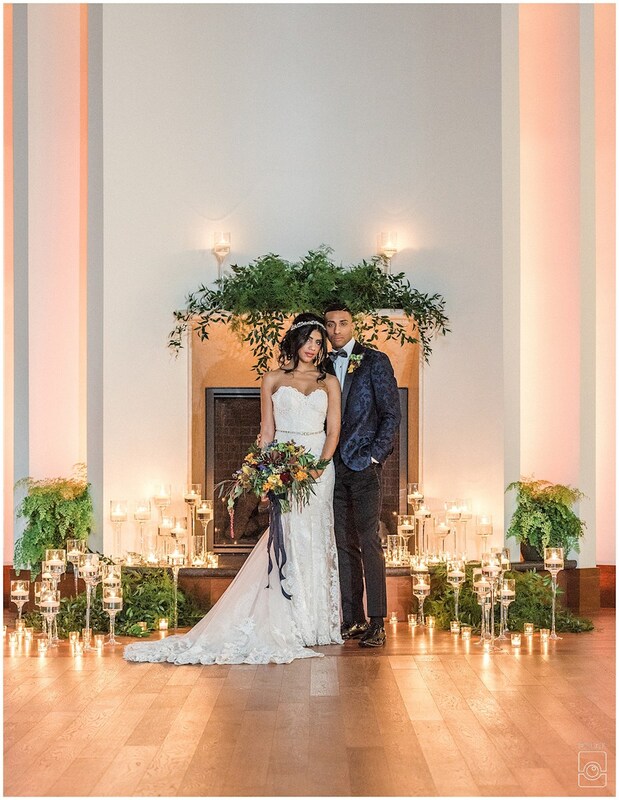 Contact us today to see which lighting package is right for your wedding. Under Table Lighting is a delicate effect that will wow your guests. You can choose to light under all the tables or just your sweetheart or head table. Either way, your guests will love the way the tables glow. Dance Floor Lighting will enhance the dance floor in a way that will help entice your guests to get out onto the dance floor. You can choose between a subtle light show or give your dance floor that nightclub feel. 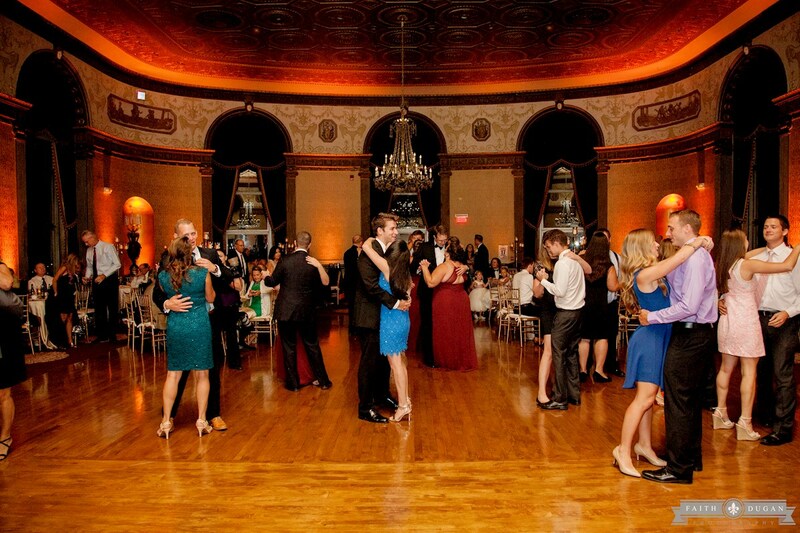 Our dance floor lighting packages range from $500 to $995 depending on your needs. Pin Spotting is an elegant way to illuminate your cake, floral arrangements, and centerpieces. The lighting will shine a beam of light directly onto your centerpieces, making them stand out with a graceful pop of color or white. Custom Monogram is an easy way to personalize your reception. We will literally put your name in lights! Our monogram packages start at $175. Find out how we can enhance your venue with our lighting options by contacting us today! 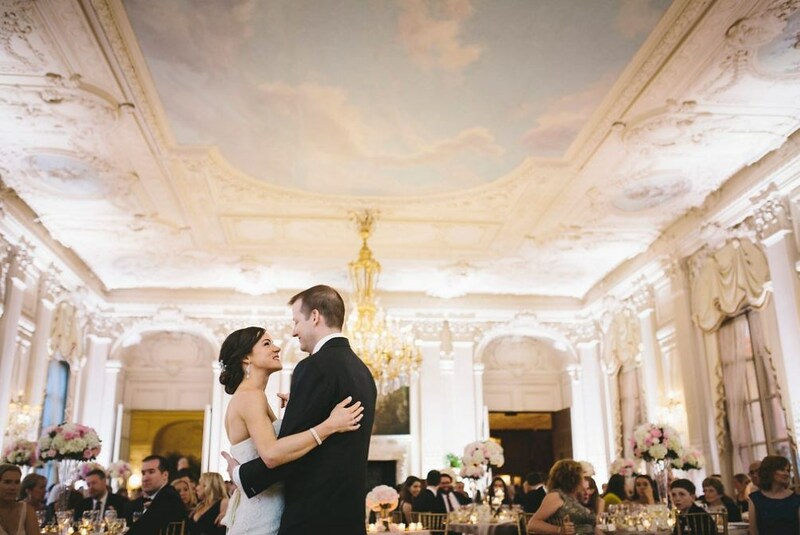 Photos: Faith Dugan Photography at Providence Biltmore, Hilary B Photography at the Pavilion at Grace and Ready Luck at Newport Mansion: Rosecliff.